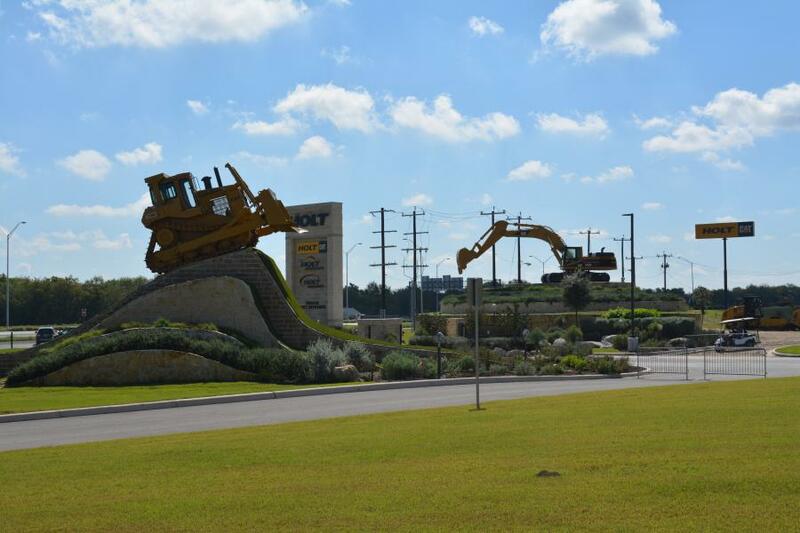 This is a cool greeting for customers to HOLT CAT’s new headquarters in San Antonio, Texas. Past, present and future converged Oct. 26 through 28, 2018, in San Antonio, Texas. 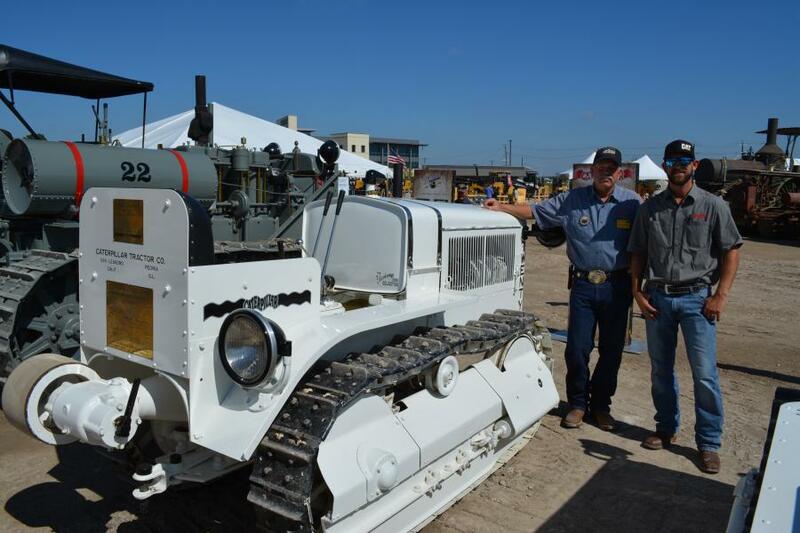 HOLT CAT hosted the 2018 Antique Caterpillar Machine Owners Club (ACMOC) National Show, but that wasn't all — the longtime respected Cat dealer also celebrated its 85th anniversary with an employee event and showcased its recently completed spacious and state-of-art headquarters. The antique Caterpillar show's setting and its host proved to be the most logical choices, outside of Peoria. "Our father and grandfather have always been collectors, so we have a long history of going to these shows," said Peter J. Holt, CEO and general manager of HOLT CAT. "A couple of years ago a few of our employees became very engaged in ACMOC and wanted to bring a chapter to San Antonio. So we got the chapter started and got further involved and it just became a natural direction to have a show here. And then with almost divine timing it worked out that it was our 85th anniversary and we had just built our new headquarters. So it was just a really great confluence of exciting events that drew that show here that we could celebrate our foundational legacy and have some cool juxtaposition between our past and our present and future." 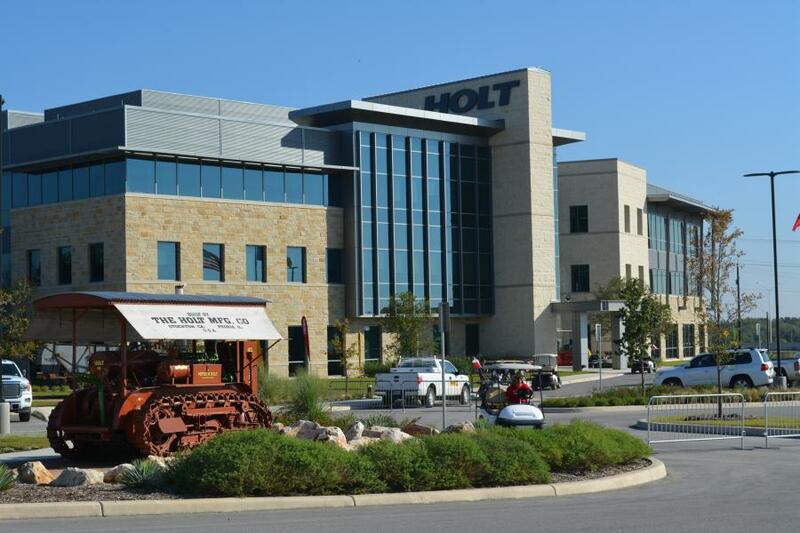 The foundational legacy Peter J. Holt alluded to is among the most important inventions in American manufacturing history and turned a name for an insect into a worldwide workhorse in the construction and agriculture industries. Alternatively, like any industry, with opportunity comes challenges, as well, and with the right, well-thought out strategic approach, even the challenges can be viewed as opportunities. "I think the greatest opportunity for our industry is to work really closely with our customers to stay ahead of the curve when it comes to innovation," said Holt. "You know, how can we help them do their jobs faster, better and cheaper? So, I really think that's the greatest opportunity for us. I would say the greatest threat is workforce development. That is the significant challenge for us as a company, and I would say that we, as a state and a country, must ensure that we have the right education and training avenues for our population and our children to be successful and to continue the success of our society." Corinna Holt Richter spoke of the changes she's seen in the company. "I would say Texas First Rentals," she said. "That new venture has been the biggest change and the biggest growth area for our company … the rental service business. And, of course, the new headquarters building. We are investing all over Texas, but we are continuing to invest right here, where we call home in San Antonio." The amount of partnership that HOLT CAT's customers are asking the company to be integrated with has grown and that has pushed the venerable Cat dealer to be dynamic — and one of the outcomes of that is growing rental inventory. 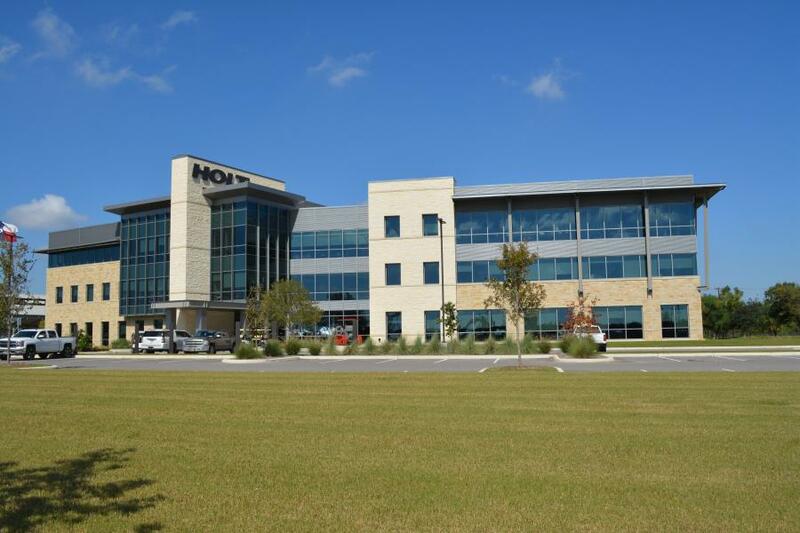 "We have over $750 million of rental inventory that is highly utilized," Peter J. Holt said. "And if you would rewind, and look back to pre-recession, pre-2007, a large majority of our business was very traditional in terms of sales model. We would sell or lease it, and then look to sell or lease it again. Now, our customers are looking for more of a portfolio type of mindset in their buying trends and that has pushed us to be dynamic and to grow the number of options that we have to serve our customers, which has led to Texas First Rentals and our overall rental inventory fleet." Holt added that while rental is still less than 50 percent, looking at an appreciable period of time, in less than 10 years, rental has grown from less than 20 percent to close to 40 percent. ACMOC was founded in 1991. 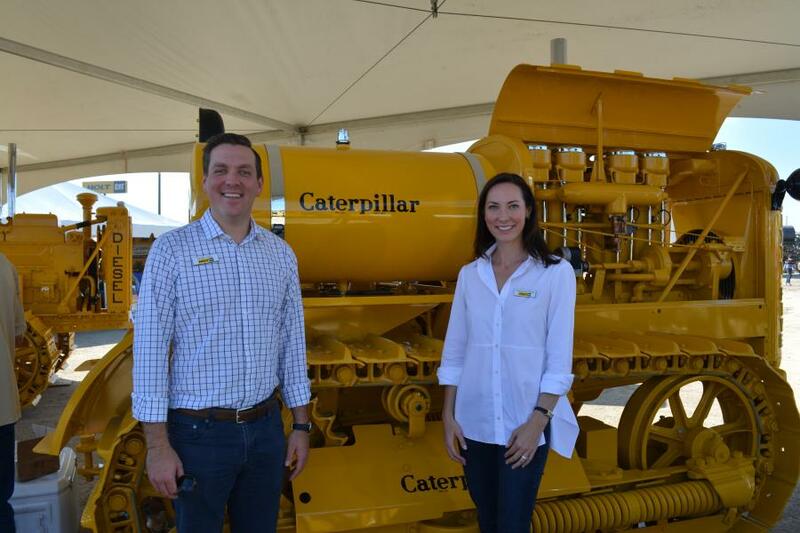 Based in Peoria, Ill., ACMOC's mission is to assist and educate its members, and the general public to appreciate the historic role of Caterpillar machinery in shaping the world. ACMOC promotes the collection, preservation, restoration, display, and study of products and memorabilia of Caterpillar and its related predecessors. For more information, visit www.acmocsa.com. 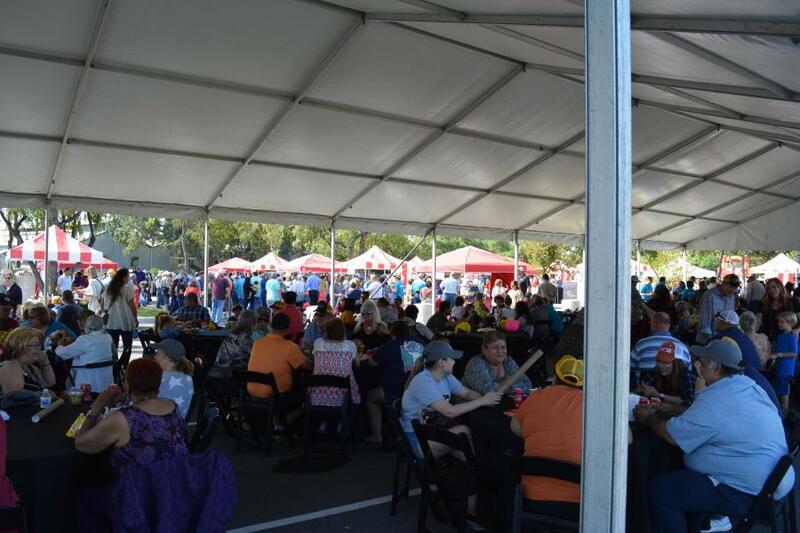 HOLT CAT's 85th Anniversary Celebration Employee Event drew approximately 2,220 attendees, including employees, retirees and family members. Today, HOLT CAT is the largest Caterpillar dealer in the United States and a company doesn't get that way without a generation-spanning, forward-looking approach to business. With a backdrop of vintage iron and employees, retired employees and their families celebrating 85 years in business, Holt and his sister, Corinna Holt Richter, spoke with Construction Equipment Guide (CEG) about what they see is an exciting and transformational future that Caterpillar equipment and the construction industry as a whole will bring. "For next year, and hopefully into 2020, the fundamentals of our economy, especially here in Texas, look very strong," Peter J. Holt said. "We are excited about being a really integral part of the industries we serve and have a very positive outlook for 2019 and a hopeful outlook for 2020." Read more about Holt and Holt Richter's path to leadership. Click here to see CEG's exclusive photos from this year's event.